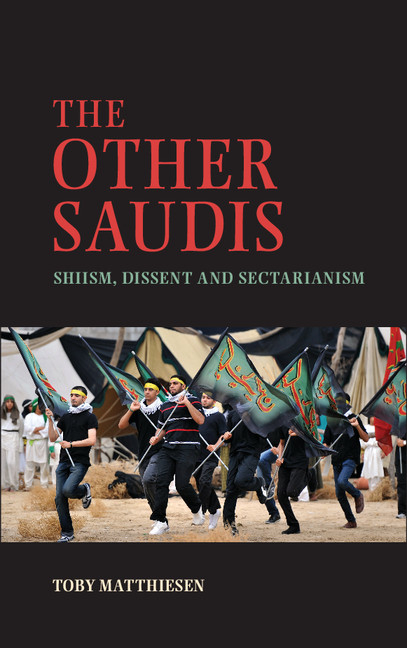 Toby Matthiesen traces the politics of the Shia in the Eastern Province of Saudi Arabia from the nineteenth century until the present day. This book outlines the difficult experiences of being Shia in a Wahhabi state, and casts new light on how the Shia have mobilised politically to change their position. Shia petitioned the rulers, joined secular opposition parties, and founded Islamist movements. Most Saudi Shia opposition activists profited from an amnesty in 1993 and subsequently found a place in civil society and the public sphere. But since 2011 a new Shia protest movement has again challenged the state. The Other Saudis shows how exclusionary state practices created an internal Other and how sectarian discrimination has strengthened Shia communal identities. The book is based on little-known Arabic sources, extensive fieldwork in Saudi Arabia, and interviews with key activists. Of immense geopolitical importance, the oil-rich Eastern Province is a crucial but little known factor in regional politics and Gulf security. Video of book launch at George Washington University, Washington D.C.